FOR A CLEAN AND HEALTHY GRILL! 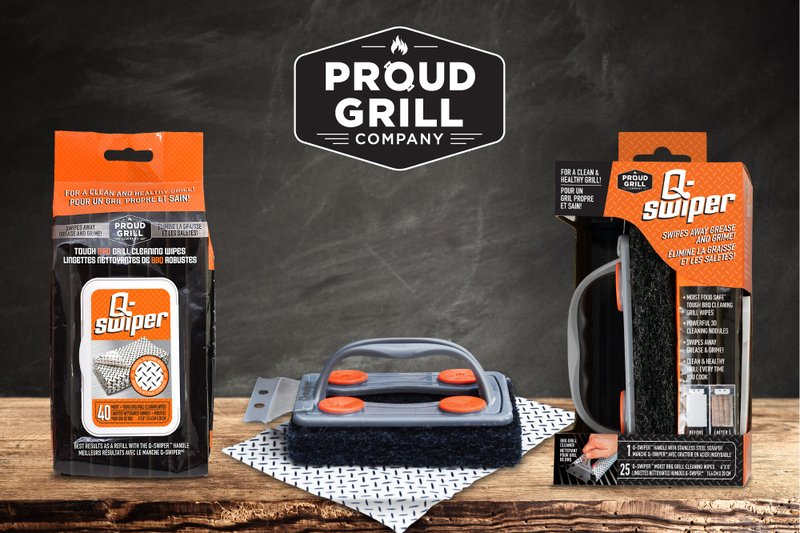 The Q-SWIPER® Grill Cleaner Brush and the Q-SWIPER® BBQ Grill Cleaning Wipes are sold separately and as a Kit. The Kit includes 1 Bristle Free Grill Brush and a package of 25 Q-SWIPER®wipes. The Q-SWIPER® BBQ Grill Cleaning Wipes are also available in a 40 count refill. 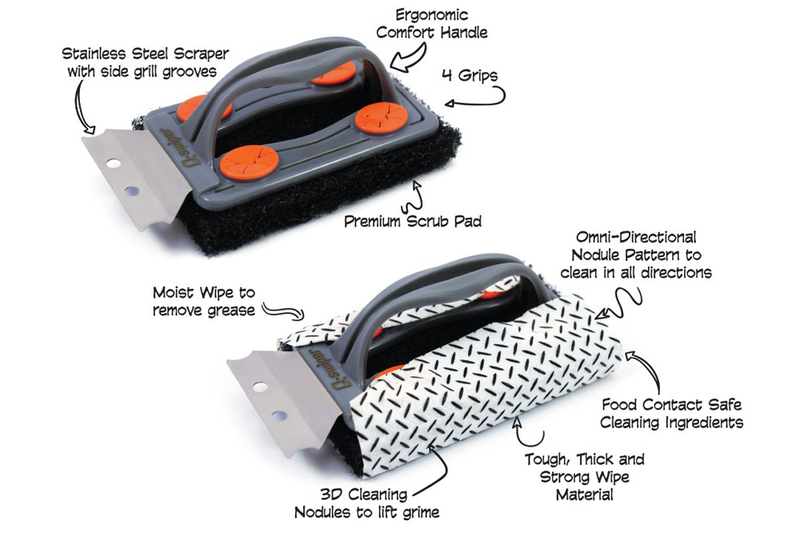 The Q-SWIPER® is loaded with features to help clean grill grates easier! 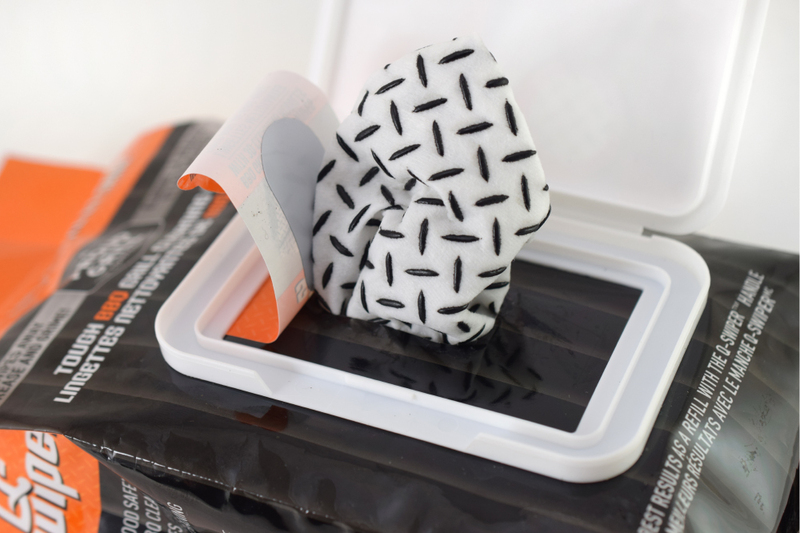 The Moist Food Safe Tough Cleaning Wipes will clean and absorb grease from cooking surfaces while the Powerful Omni-Directional 3D Cleaning Nodules help wipe away tough grill grime. 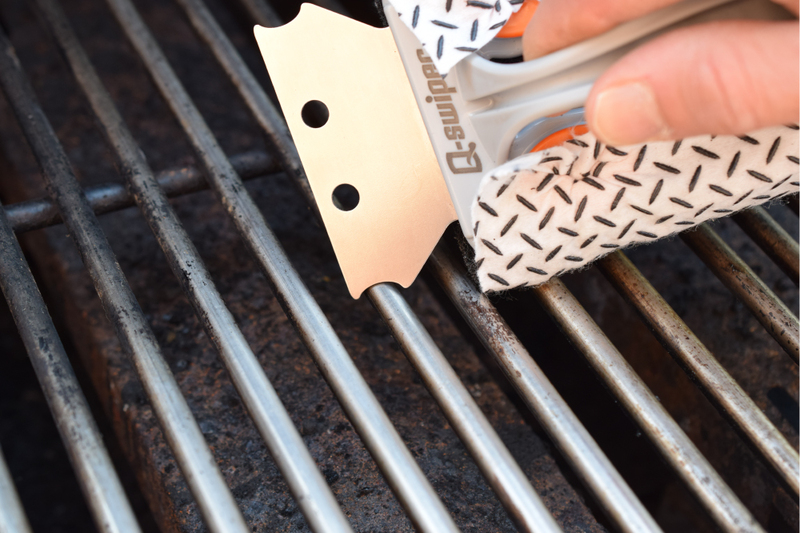 The Q-SWIPER® swipes away grease and grime for a clean and healthy grill. 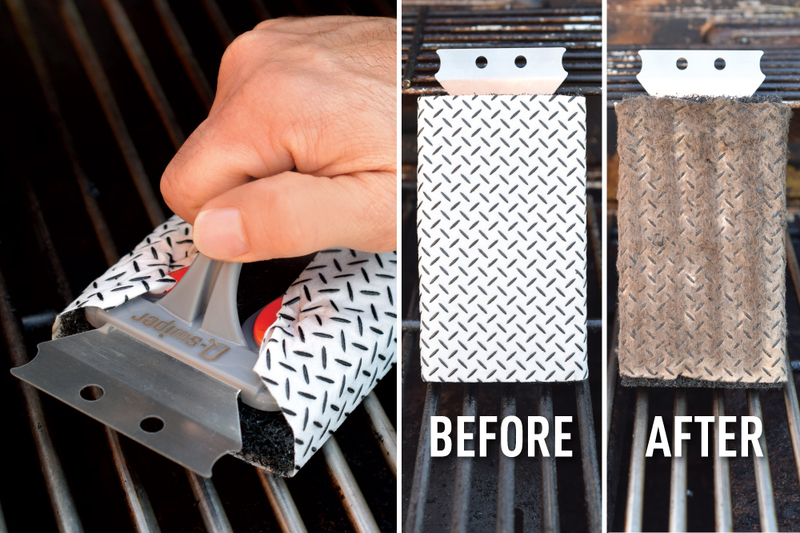 Use a new clean wipe every time you barbecue and stop reusing a dirty grill brush, soiled pad or filthy wood scraper to clean dirty grill grates. With the Q-SWIPER® you taste your food not your grill. 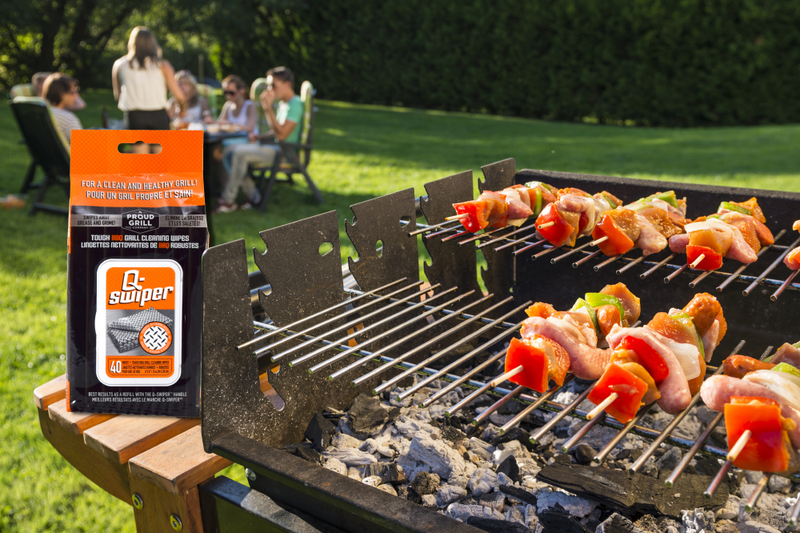 Use a new clean Q-SWIPER® moist BBQ grill cleaning wipe before every time you cook for a clean & healthy grill. Stop reusing a dirty BBQ Grill Brush, soiled scrub pad or wooden scraper over and over again to clean your dirty grill grates…it just doesn’t make any sense. Removes the risk and threat of harmful bacteria build-up on your grill. Enjoy better tasting food cooked on your grill and not the greasy remnants from the last time you barbecued. Q-SWIPER® Cleaning Wipes are moistened with recognized food contact safe cleaning agents to absorb that dirty grill grease. 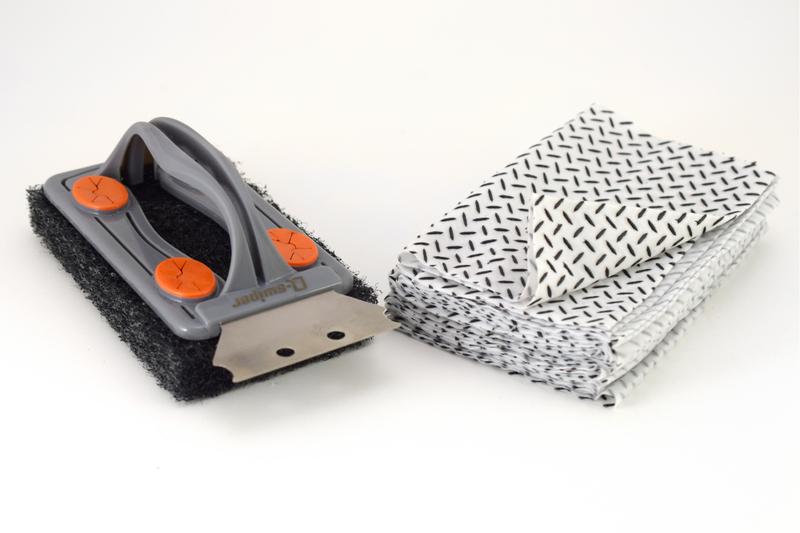 The 3D cleaning nodules and stainless steel scraper help remove the grime and burnt on remnants. 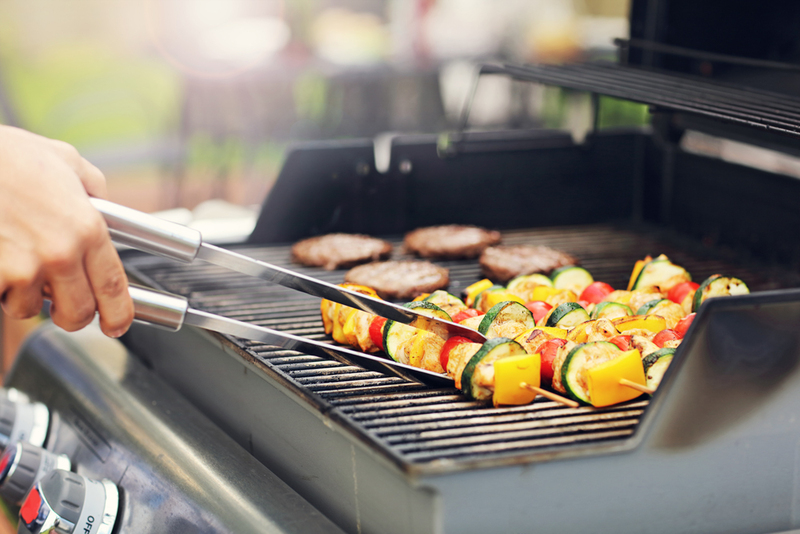 A clean grill will deter pests and insects from making your BBQ their home. Q-SWIPER® FOR A CLEAN AND HEALTHY GRILL! USE ONLY ON A COOL BBQ GRILL BEFORE YOU COOK. DO NOT USE OVER AN OPEN FLAME OR ON A HOT GRILL. 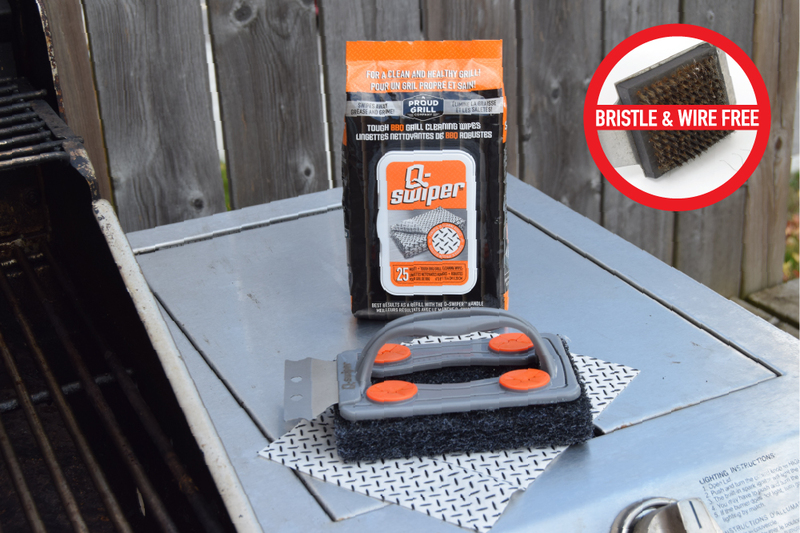 Remove a moist Q-SWIPER® Wipe from the package and affix the wipe to the bottom of the Q-Swiper® barbecue grill brush pad with the special omni-directional cleaning nodules on the outside. Position the barbecue grill brush in the middle of the wipe. 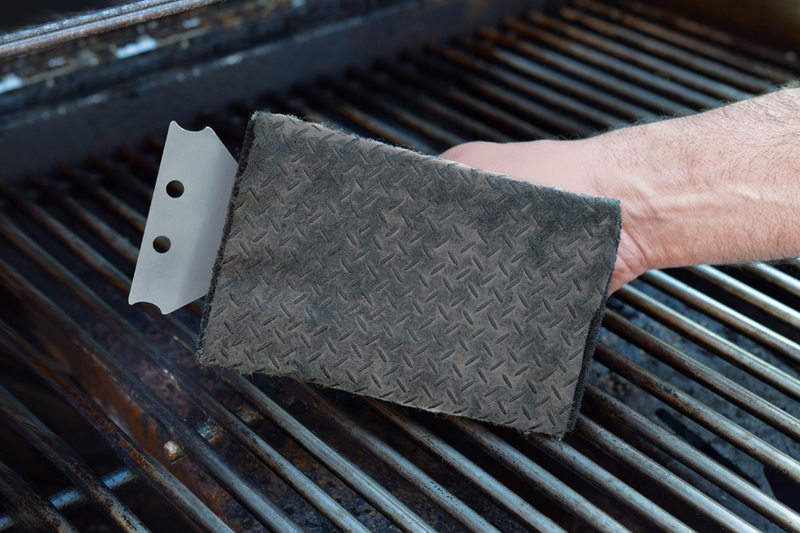 Wrap each side of the wipe around our safe grill brush and push them into the four rubber inserts to keep the wipe secure. 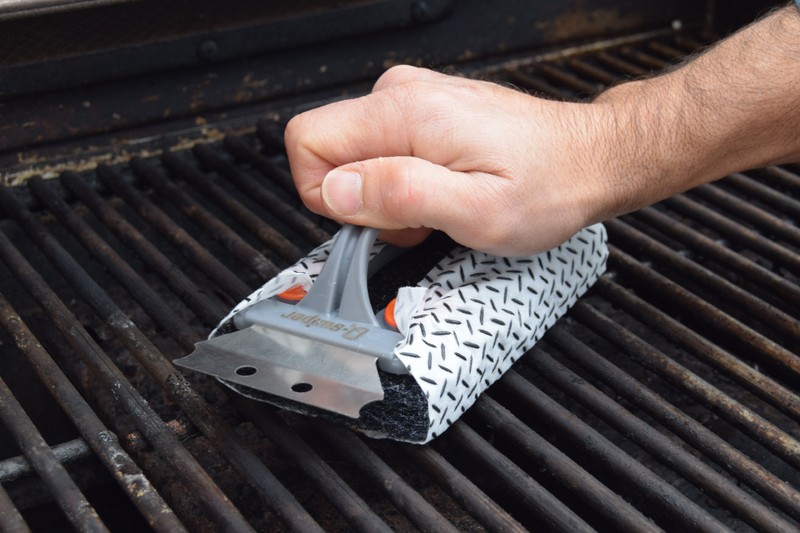 Use the stainless steel grill scraper to remove burnt-on food particles stuck to the grill. The grill scraper has side grill grooves to help clean grill grates between the grill bars (depending on the grill style). Do not use the grill scraper on porcelain coated grills to avoid chipping the coating. Press firmly and swipe the grill of dirt, grease and grime. 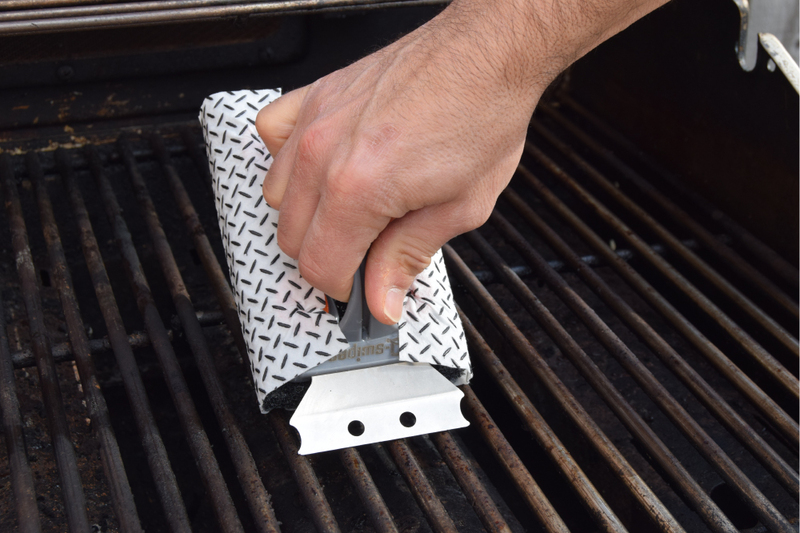 Use the side of the handle to clean between grill grates. 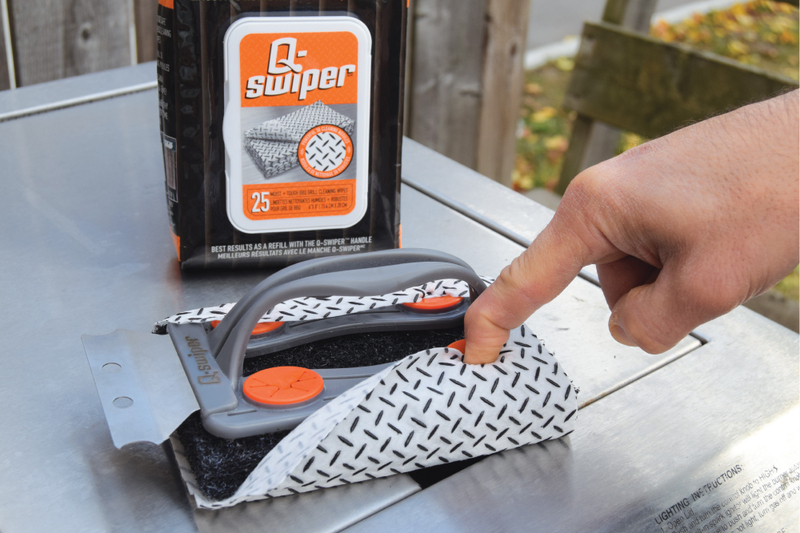 Remove wipe and clean grill scraper with unsoiled portion and discard the soiled Q-SWIPER® Wipe.